This year I am not actually participating with the DSBC group from the North as I have been traveling in Baja and will be meeting the group here. I am also glamping at the Sand Flats Recreation Area in my Motorhome. 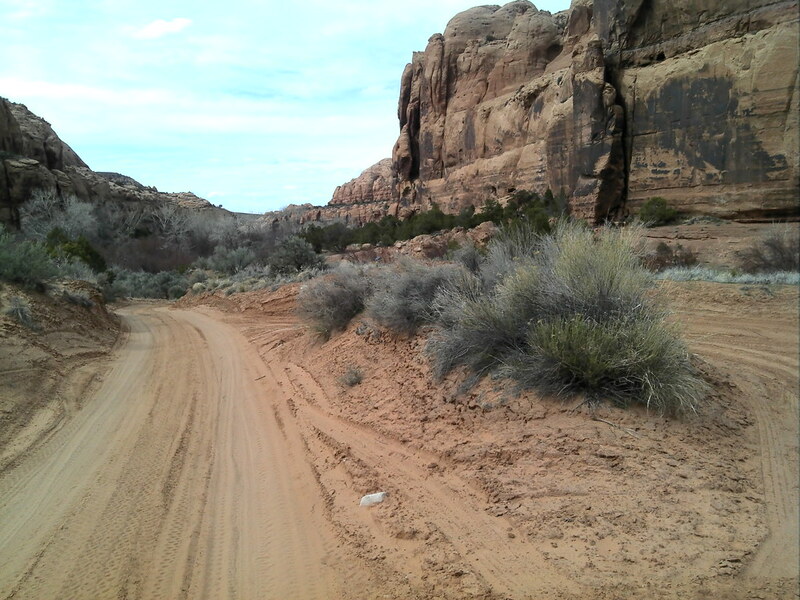 So I will not be participating in some of the extracurricular activities at the Moab Retreat House, but instead I will ride down from my campsite (about 8 miles away) to the Moab Retreat House and meeting up with the group in the mornings. I arrived a few days earlier than the main group and finally got the bike off the MH and went riding yesterday. 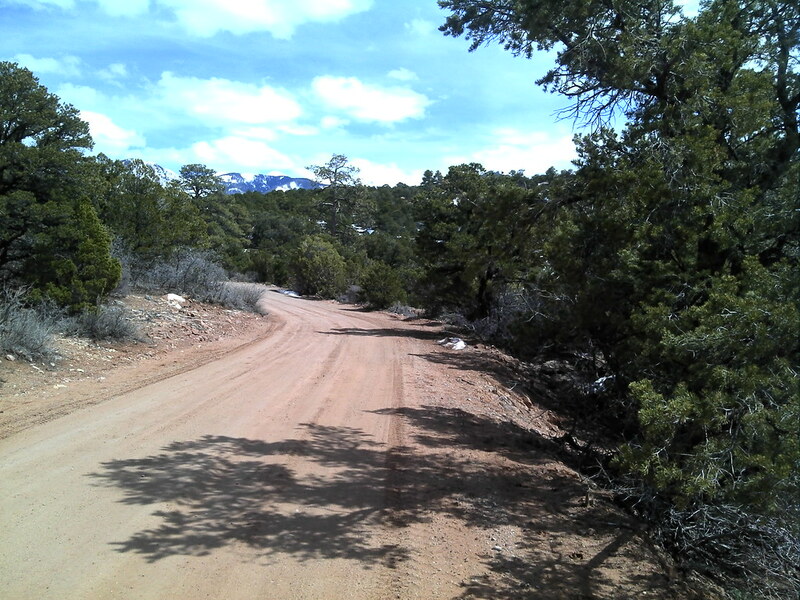 Decided on a simple route about 75 kms, East out of the park on Sand Flats Road, to Lasal Loop Road to Ken's Lake and back on Spanish Valley Road. Did not think this route would take me into the snow but here I am. And its cold too. 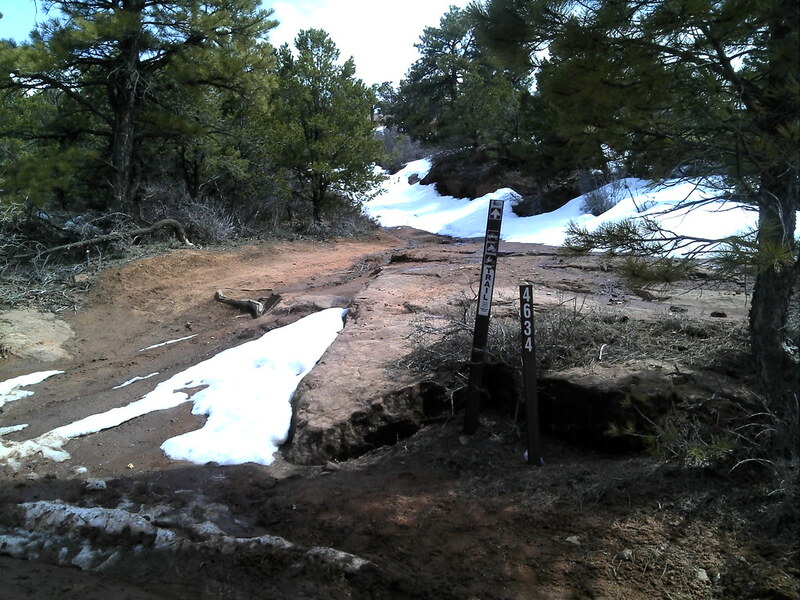 This is a good road for any DS bike, It looks like the snow has just cleared as there are no tracks visible and the surface is soft, scenery is spectacular as expected. 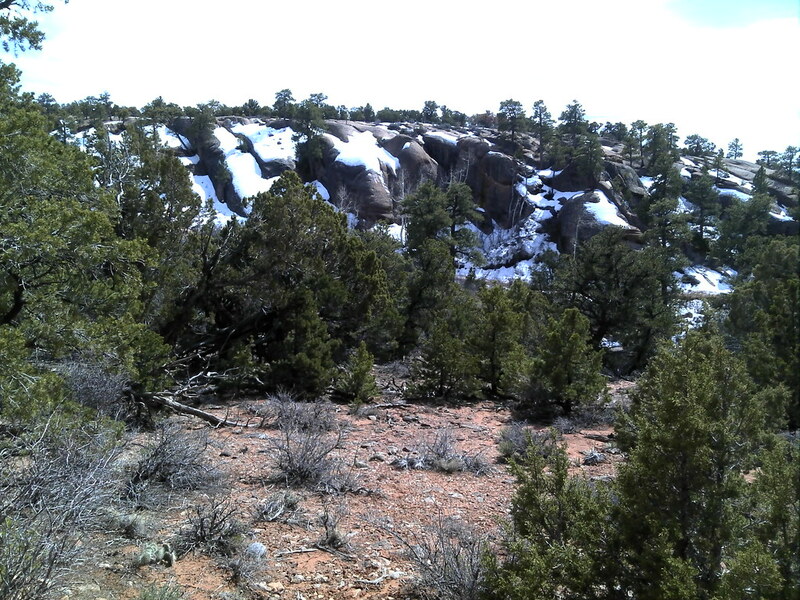 yup a trail with snow on it, and you know I just cant resist. Could not go very far. 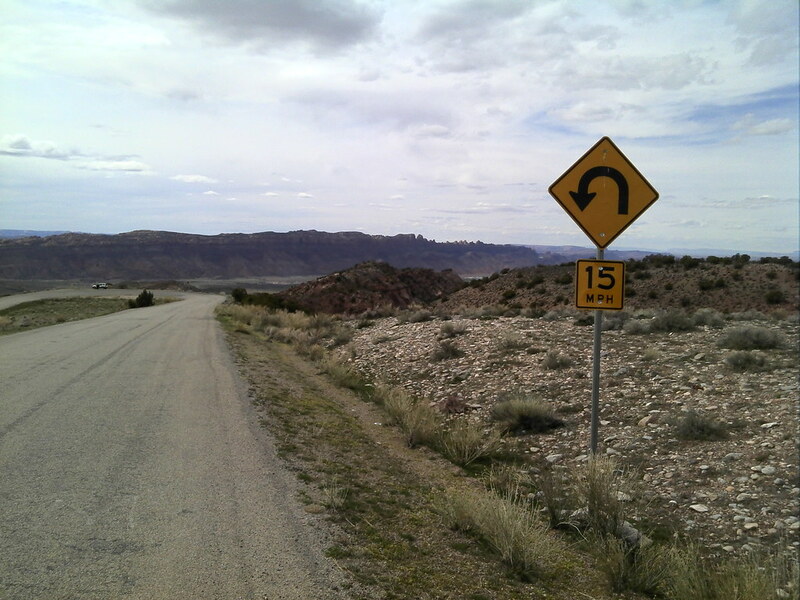 10 and 15 mph curves, rough surface and lots of sand and gravel spread about to keep you honest. Thanks, wish you where here.